In our annual review of the best gifts for grandkids, we discover dangerous voyages, rascally rabbits, and northern tales. And then, we couldn’t resist a fox or two. A little girl in a red coat (Red Riding Hood in a parka?) 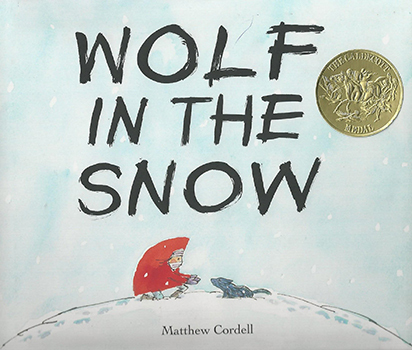 loses her way home from school in a blizzard in this near-wordless book — apart from a few barks, howls, whines and huffs. A grey wolf cub gets separated from his pack. The two terrified small creatures meet in the snowy waste. 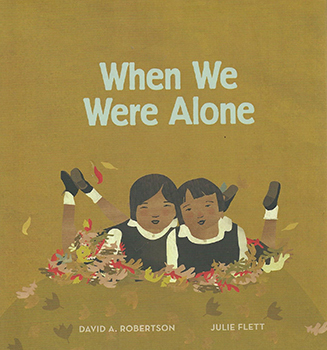 This story of trust and reunion deservedly won a Caldecott Medal. Don’t forget to check out the portrait gallery, human and vulpine, under the dust jacket. A curious small girl in the garden with her “kokom’ asks why she always wears colourful clothes. “It’s like she dresses in rainbows.” Her grandmother explains, ”Well, Nosisim…” she was sent far away from home when the children were all dressed the same “mixed together like storm clouds.” Slowly, we realize that it was to a residential school. Further questions reveal the, loss of language, and family, and the children’s valiant efforts to retain their community. Flett’s glowing collages, bright and dark, reflect the hope of the present, the sadness of the past. A difficult subject handled with gentleness and hope, it won a Governor-General’s Award. A romp in the garden. Lavinia, the Badger lovingly tends her lettuces, leeks and kale. But then the treasured plants are nibbled. Lavinia sets a trap and catches a frightened white rabbit. 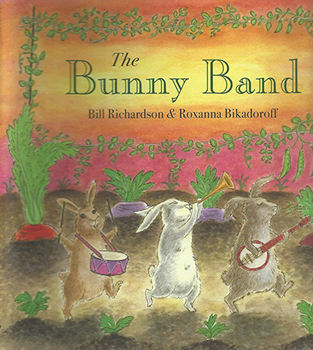 When she threatens to turn him into stew, he promises to help her garden grow again…He returns the following night with his diverse band of cream and tan and black and brown bunnies. They play bassoons, harps, ukeleles, drums and bagpipes. The vegetables thrive mightily and win at the fall fair. Lavinia provides a bumper banquet to celebrate. The perky illustrations add to the jollity. 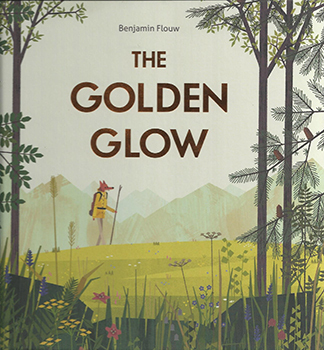 ”Every evening, sitting in his armchair, Fox likes to leaf through old botany books, looking for the next new plant to add to his collection.” He comes upon a marvellous flower that is so rare, there’s no picture and decides to set off to the mountain to find it, taking with him his waterproof jacket, flashlight and a snack of grape pate sandwiches. On the way he encounters several helpful animals, Wolf, Bear, Marmot and a studious mountain goat,” standing on a boulder, reading a book.” Several pages are devoted to leaves, trees and flowers. Never has kindergarten botany been so charmingly integrated. Fox finds his fabulous flower, hidden under the snow, conservationists will love the ending. 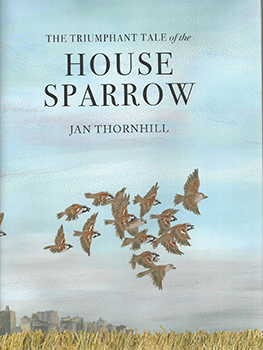 With a rousing beginning, “Behold the most despised bird in human history” Thornhill sets off on the astonishing history of a bird that has lived beside us for 10,000 years — although we’ve tried to get rid of it for just as long. It stowed away on ships with the Romans to go Britain, fifty pairs introduced to New York in 1852, have populated the continent Why hasn’t it gone extinct like the Passenger Pigeon and the Great Auk? It’s adaptable, these days uses nylon string and shreds of paper and plastic for its nest and enters grocery stores and airports by fluttering in front of the sensors of automatic doors. The artist’s usual superb illustrations capture the many lives of this plucky bird. It was a family of pragmatic minds and Sebastian fit in perfectly.” Then this logical boy with a photographic memory, ventures through a mysterious door at the Explorers’ Club. 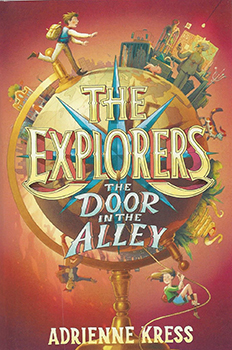 His companion, Evie, who has no family at all, shares in a series of fantastical adventures. There are gruesome villains, a kindly python, the Waterfall of Youth deep under the sea. Jolly footnotes add to the deadpan humour. I can’t wait for the sequel in a proposed series. Six-foot-four-inch twelve-year-old Charlie Boho, scratches out a hard scrabble living with his parents in South Caroline in 1858. Despite their poverty, the family shares the local prejudices against the slaves on the nearby Tanner plantation. 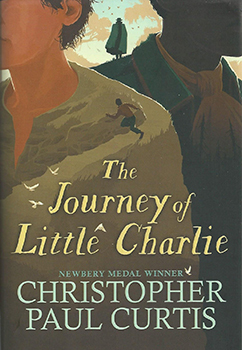 When a freak accident brings this already difficult life to an end, young Charlie is forced to set off with the brutal Cap’n Buck who stinks both physically and spiritually, in search of runaway slaves. As Charlie travels to Detroit and then Canada, he gradually learns a measure of compassion. In his much-loved and laurelled novels, one of the last stops on the Underground Railway in Buxton, Ontario. Curtis is known for successfully mixing horror with laughter. He has done it again. The author writes that the story is set in the old days before Inuit traditions began to change and adapt. We are plunged immediately into the first seal hunt of the season with Pitu, who is to become a mighty hunter and then a shaman. We are in a land of myth and legend, but also there is companionship, and warm family life. 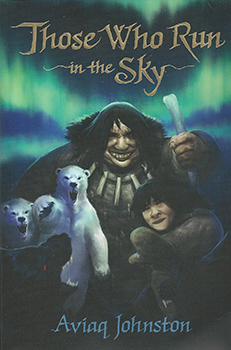 Pitu, lost in the blizzard, enters the Spiritworld, where he encounters horrific monsters, a lonesome giant who keeps a herd of caribou and a polar bear, as pets and a grouchy old shaman. Pitu’s spirit guide is a charming fox. A very different coming of age in 1934 Muskoka. While Pitu is desperate to return to his settlement, Ben Mercer dreams of escaping to the city and becoming a violinist. But it doesn’t seem possible. He is condemned to sell groceries from the dock and to do odd jobs for rich cottagers. Ben works for a wealthy New York widow, restoring her cottage. She takes an interest in him, expands his horizons, and then the end of summer comes. 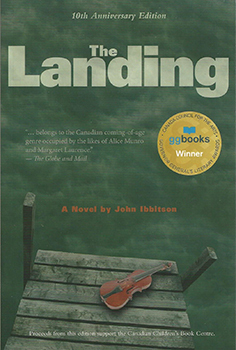 All proceeds for this 10th Anniversary edition go to support the Canadian Children’s Book Centre. Mary Alice Downie is a Kingston-Ontario based author who has written many books for children and adults based on Canadian history.